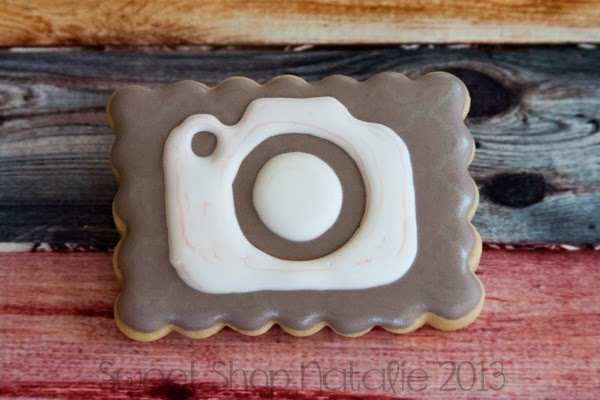 I am going to state first off, that I think this is my favorite set of cookies I have made all year!! I like the colors, and I think they came out pretty cute. Matt has the last birthday of the calendar year of my siblings and their spouses, so this post is the last birthday cookies for 2013. Matt is the second oldest and oldest boy of my family, he is about 14-15 years older than me so needless to say I don't really remember much of Matt until he was married and raising his own family. I have many many memories of Matt so I find it hard to single it out to a best memory. I have so many memories because he and his family moved back to my home town over 20+ years ago. So I got to spend my youth around him and his family. I got to spend a lot of time with Matt as a teenager and young adult because I worked for him in his photo business for many years. I spent many many days by his side developing and printing pictures, and he was probably the best boss I ever had. Who else gets to say that you can boss your boss around, and still have a job. I can be kinda bossy and Matt can have way too many things on his plate all the time. So from time to time and I had to keep him on track of what he needed to be doing. I learned how to work hard from him and he taught me many great business skills. My brother has been wearing a tie more days than not in the past. I have no idea, something like 10-15 years. He was called as a Bishop (kinda like a pastor) in his local Church of Jesus Christ of Latter Day Saints congregation and had that calling for 5 years, and then he was called as a Stake President (takes care of 8 congregations in the town) after that, and has been serving in that calling for many years so he is always going to church meetings therefore always wearing a tie. 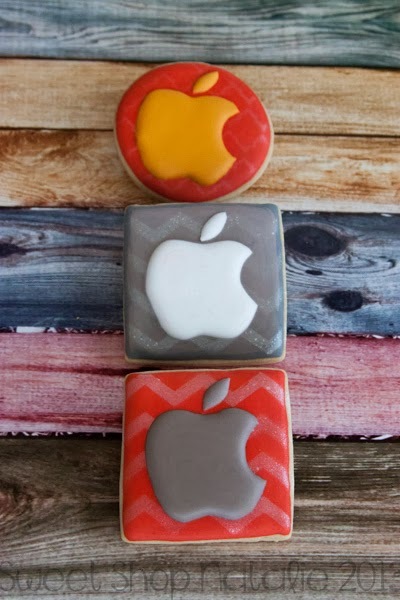 When I was gathering ideas of what cookies I should do for his cookies I sent an email to my sister in law and his 3 daughters for suggestions. They quickly responded and it was really fun to read them going back and forth about the many memories they have of their dad. One daughter mentioned him dancing all the time, trying to show off his awesome dance moves and he is known for dancing in their many home videos. 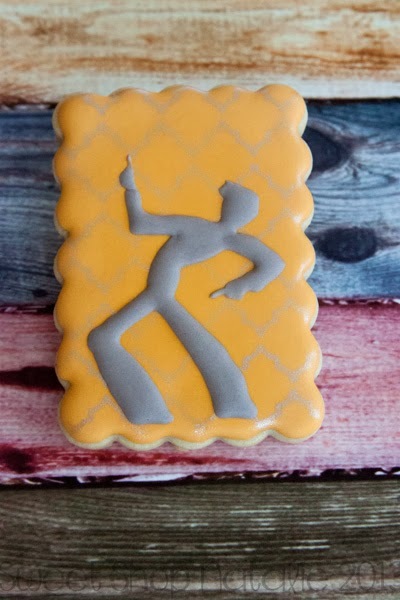 So I knew I had to do a cookie with a dancing man on it. 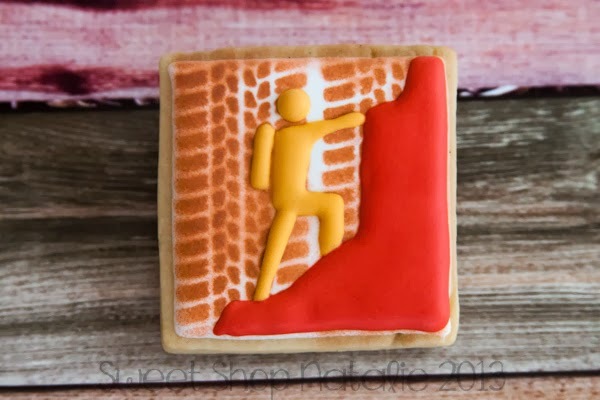 The above cookie is my favorite cookie of the bunch and my favorite cookie all year. 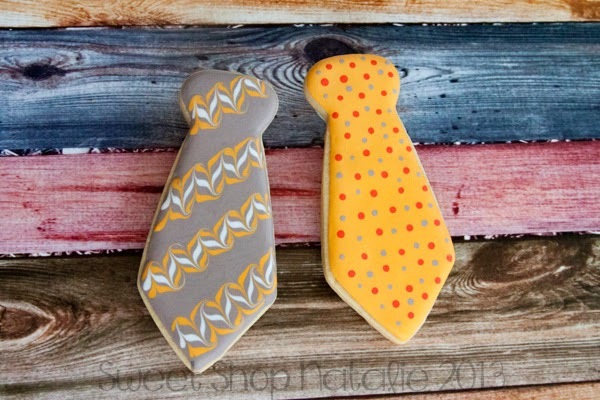 :) I love the grey on the yellow and the stenciled back ground. My brother Matt could never be accused of being lazy! That man is always doing something, he has a million ideas, he can fix almost anything, draw up house plans, build houses, fix cars, fix photo machines, is a photographer, lover of technology, the list can go on and on. He is constantly doing things to improve his community and has lately been working with his town of Kanab on driving more visitors to visit Kanab, and has been into hiking and off-roading for the past few years. He played a big part in pulling together an amazing event, Grand to Grand that had people from all over the world participating in it and will be doing it again in 2014. It is a foot race of 267 miles starting at the Grand Canyon and ending at the Grand Staircase. This is a little Youtube video on it, click here. 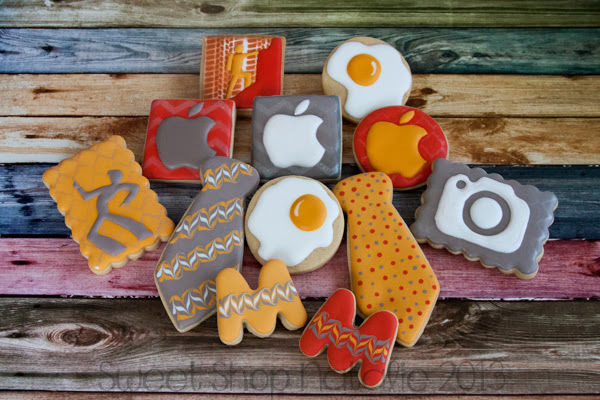 I mentioned that he loves technology and specifically Apple technology, he has always been a faithful follower of Mac's and the Apple world, so I had to do some Mac Apple cookies. And of course photography has been in his blood since he was a teenager, he has always been taking pictures. When he moved to Kanab he bought a photo developing business and still owns a photo business today. He followed in my dad's footsteps of taking pictures for the Newspaper my father owned and then he became part owner of it, and he has been taking many pictures for all events, wedding, family, sports, school pictures you name it!! Just one of his many talents!! Another talent he has is eggs, yes that is right he is a master of cooking eggs. I am not sure if that is all kinds of ways to cook eggs, but I remember him being able to make perfectly cooked scrambled eggs and he was able to do that in the microwave. His kids said he is the master of cooking eggs! 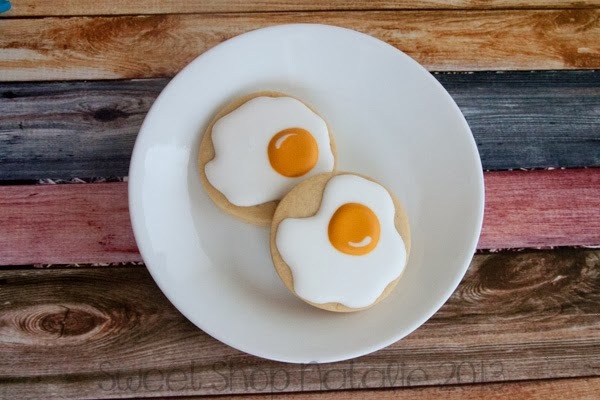 I love these fried egg cookies they look so real. And here is the whole gang together. I did not cover all of Matt's many talents and hobbies, but just a few. I am glad I can call Matt my older brother. I hope that he had a great birthday! Happy Birthday.